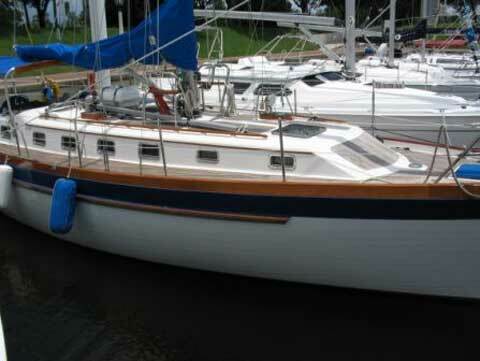 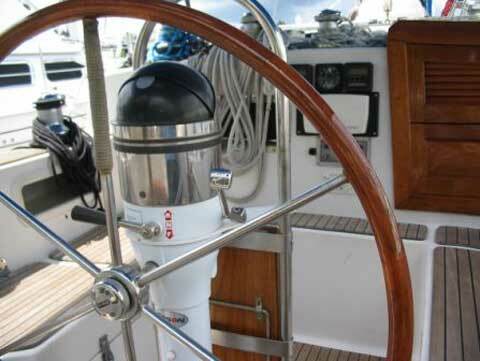 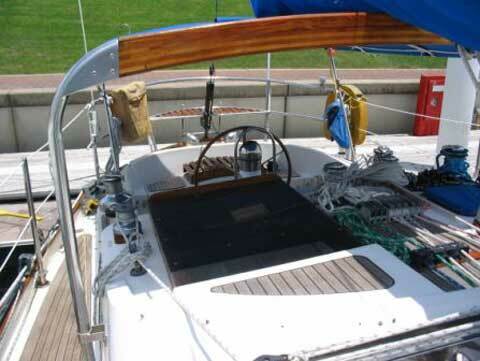 The Slocum 43 is cutter-rigged double-ender with a cut-away forefoot, modern keel section, separate skeg rudder, keel stepped mast and teak decks. 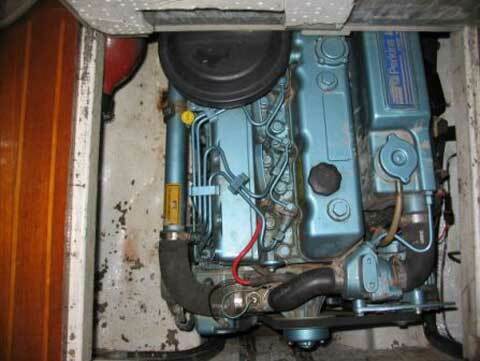 Standard engine is diesel. 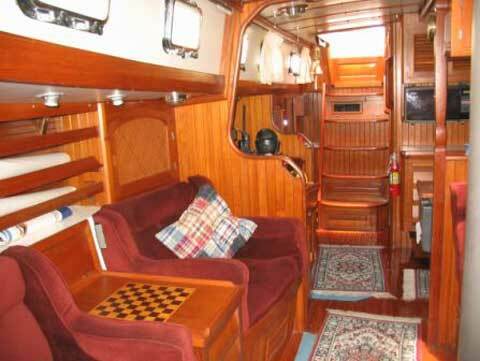 Her interior offers a starboard pilot berth and a queen size owner's cabin to port, u-shaped galley, two lounge chairs or settee and a forward head with tub and shower. 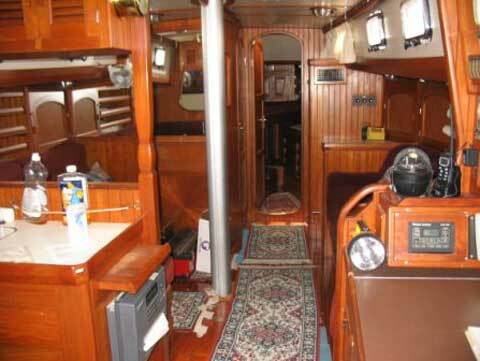 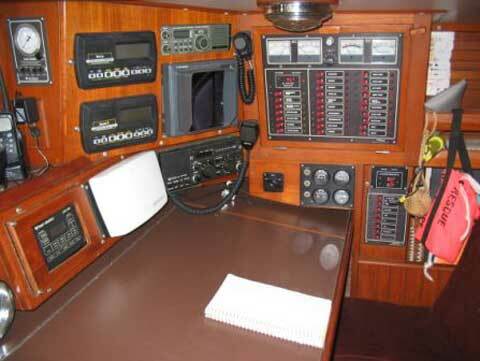 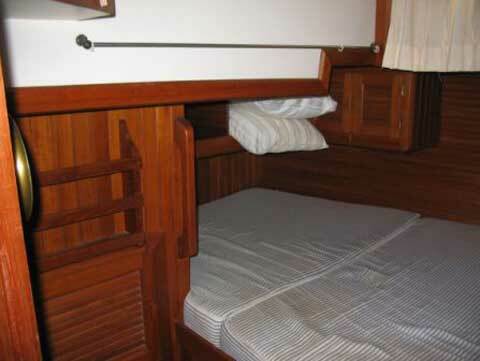 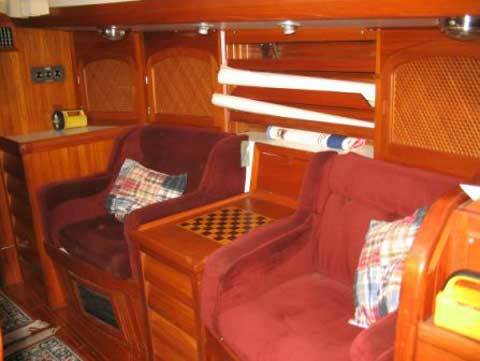 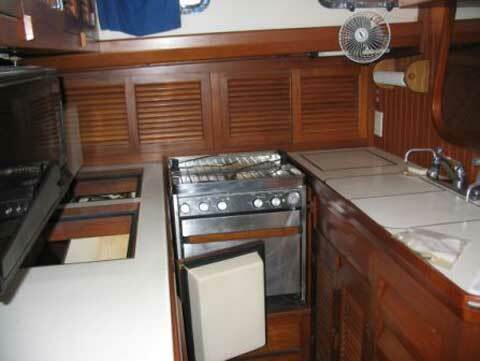 Double cabin forward with a single berth and a settee that can be converted into a double. 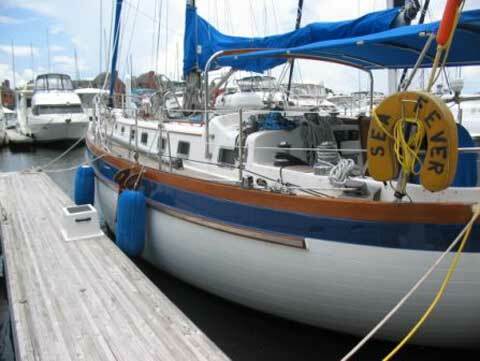 Please mark this boat sold!